Great News, Everyone: Cecil The Lion Is Alive! If you’re mourning the loss of Cecil the lion like everyone else, we have some good news for you. 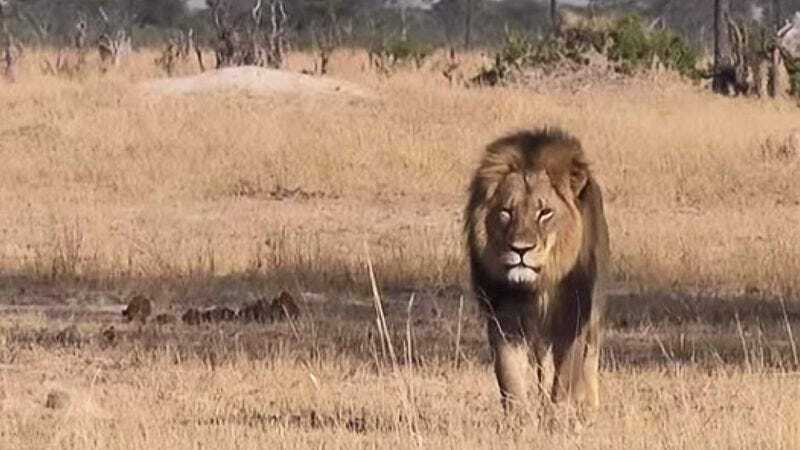 After a heartbreaking week in which the world mourned the senseless killing of Africa’s most famous feline, we can all breathe a huge sigh of relief, because it turns out that Cecil is actually still alive and well! That’s right: Cecil’s back in action, and he’s looking more majestic than ever before. We couldn’t believe it at first, but once we saw these videos, there was no denying that the lion we all know and love is still with us. Here’s a video taken earlier today of the big guy enjoying a pleasant stroll through his home, Zimbabwe’s Hwange National Park. Looking good, champ! And here he is catching some shade during a lazy afternoon on the savanna. Cecil is back! Ooh la la! Here’s Cecil and his beautiful wife. Get a room, you two! Look at that giant yawn! Looks like the dentist is off the hook. Whether you believe it or not, the footage doesn’t lie: Cecil is alive, and he’s as happy as can be! So, shed no more tears, Jimmy Kimmel, because all is right in the world again!